Aadi Krithigai also spelled as Aadi Krithika or Adi Krithigai, is celebrated on the Krittika star day of Aadi month. Aadi is the divine month when Gods and Goddesses decide to enhance the lives of their graceful creations-we, the humans. Aadi Krithigai is an energizing occasion to rebuild your positive energy, which falls on July 25th this year. It is an auspicious day to worship Lord Muruga as this is His power day. 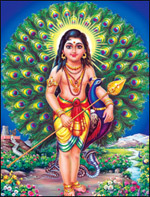 Lord Muruga or Karthikeya is the second son of Lord Shiva and Goddess Parvati. Lord Muruga’s birth and numerous feats are interesting and inspiring and are elaborately described in the ‘Skanda Purana‘. According to Skanda Purana , Lord Muruga took birth from third eye of Lord Shiva as a spark of fire. Since the heat generated by the spark was immense, Agni Dev was asked to carry it to Vindhyas in the South (the present Western Ghats). The God of fire himself was unable to bear the heat and dropped the spark in a water body that later came to be known as Saravana Poigai. When the hot spark touched the cold surface of the water, it speckled to 6 sparks, each taking the form of a beautiful baby boy. Shiva & Parvati appeared there and summoned the Krittika star from space. Astronomically, Krittika is a group of 6 stars and their Thathwa is Fire. They came down as 6 young women and each was given one baby to take care of. Lord Shiva and Goddess Parvati granted Karthigai pengal with the boon that special poojas for Lord Muruga will be held on every Krittika nakshatra. Join us in offering prayers to Lord Muruga on His power day at Arupadai Veedu Temple, which will help you prosper in 6 specific areas of your life – Wisdom, Power, Health, Victory, Relationship and Prosperity. On Aadi Krithigai 2011, Mars is entering the sign of Gemini, which will likely impart negative influences on most of our activities. 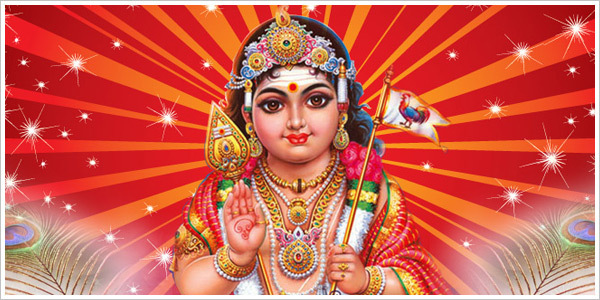 However, offering your fervent prayers to Lord Muruga, who is the overlord of Mars, at Arupadai Veedu Temple on Aadi Krithigai will not only reverse the negative influence of Mars but will also help you taste success in the 6 vital areas of your life. Gain the Blessings of Lord Muruga this Aadi Krithigai!